An organized retail thief bolts out of a drug store with a big batch of vitamins in a basket — almost running over a little kid on his way out. This happened at the Rite Aid in Lake Forest Park Town Center on March 10, 2019 and detectives say the suspect didn’t act alone. 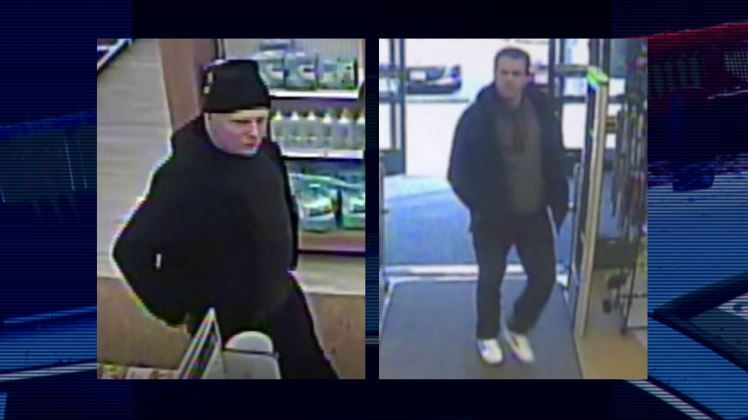 “The fact that they came in and the first individual picked up one of the baskets and started putting items into it and then switched to the other individual after it was full, is an indication that they were working together,” said Lake Forest Park Police Det. Tony Matthews. Detectives say the bigger guy in the black beanie left the store first to go get their getaway ride ready. His smaller buddy strolled out about 15 seconds later, again, having to dodge a child to make off with more than $1,200 worth of GNC vitamins and health products. Detectives say both suspects are white. If you can tell Lake Forest Park Police their names, use the P3 Tips App on your smart phone to submit the information to Crime Stoppers, or call the hotline at 1-800-222-TIPS(8477). It's anonymous and you'll get a cash reward of up to $1,000 if your tip helps lead to an arrest in the case.